Through a new five-year, $48.5 million grant from the US Agency for International Development, a consortium led by IntraHealth International will collaborate with the Rwanda Ministry of Health to reduce preventable infant and maternal deaths, reduce the incidence of malaria, and bring high-quality, integrated health services to more Rwandan mothers, children, and adolescents. increase equitable access to reproductive, maternal, newborn, and child health and malaria services in targeted districts. improve the quality of reproductive, maternal, newborn, and child health and malaria services along the continuum of care in targeted districts. strengthen the performance of the health system at both central and decentralized levels. Rwanda has become a success story in sub-Saharan Africa, sustaining economic growth, reducing poverty, and achieving many of its national health goals and targets. The country has already made its health system a priority by expanding services nationwide, growing its health workforce, and deploying some 45,000 community health workers to reach women and children close to home. Rwandans’ political will to continue improving health is strong. But population growth remains high, modern contraption use is low, and malaria is still a major killer of children under the age of five. Income inequality, geography, and barriers faced by women and youth contribute to inequitable access to care and delays in care-seeking. Facility infrastructure, provider capacity, and resource limitations have constrained the government from expanding high-impact, integrated health services to every woman and child who needs them. 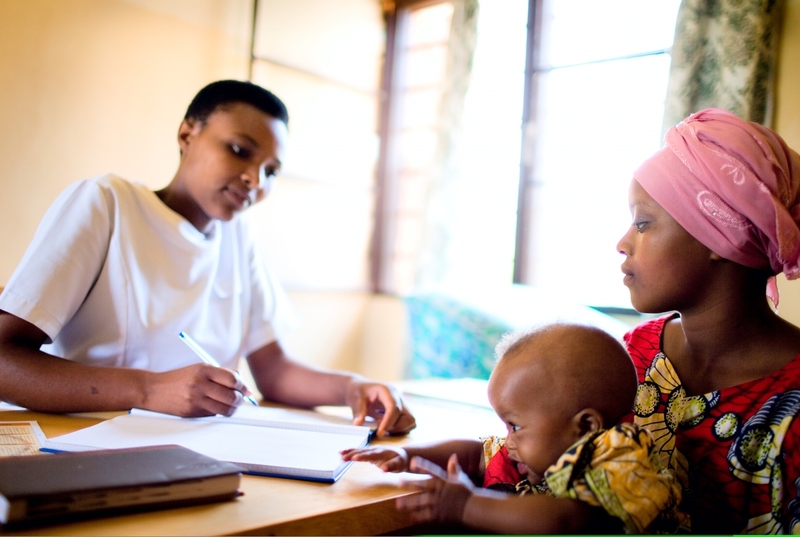 IntraHealth’s partners on Ingobyi include World Vision Rwanda, Urunana Development Communication, Ingenuity Ltd., Society for Family Health Rwanda, and Akros, Inc.